Nina and Lila recuperated nicely from all the work of the holiday season so we decided to take a little road trip for the weekend. 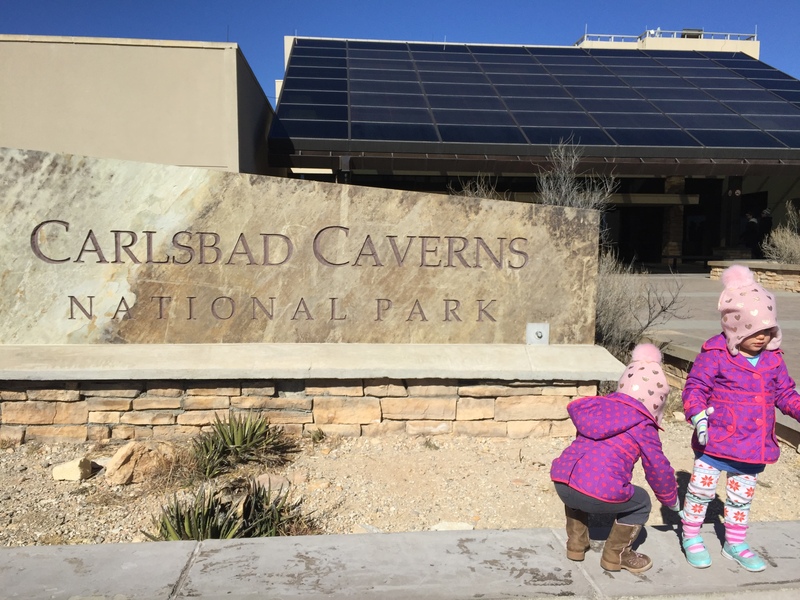 Our first stop was Carlsbad Caverns in New Mexico, a National Monument since 1923. Carlsbad Cavern is one of over 300 limestone caves in the area that were formed about 265 million years ago, and one of the largest in North America. 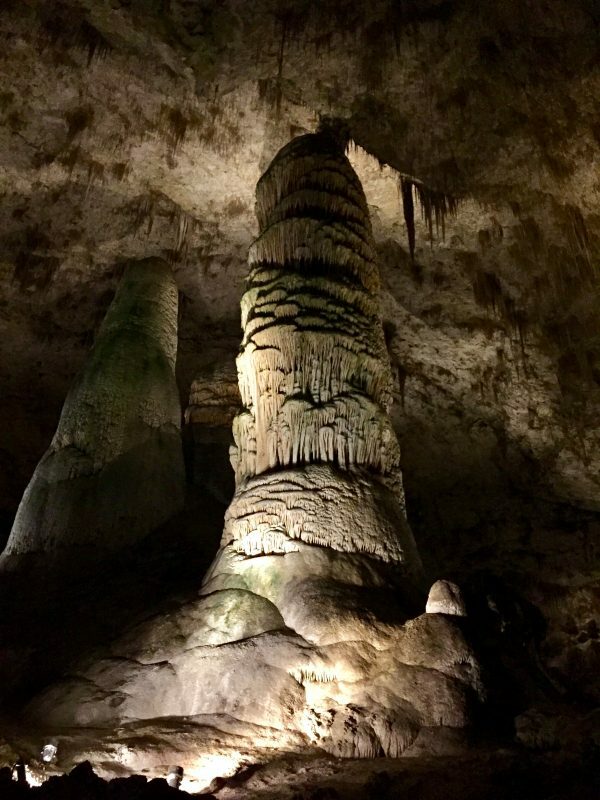 These caves are unique in that they came to creation when sulfuric acid dissolved the limestone under the Guadalupe Mountain Range. This process also left behind massive gypsum deposits, clay, and silt. These caves are actually older than the landscape above them. The highlight of the Carlsbad tour is The Big Room, a natural chamber almost 4,000 feet long, 625 feet wide, and 255 feet high at the highest point. After descending into the Earth 750 feet, Lila and Nina actually hiked through the caves for about an hour, staying on trail and resisting the urge to touch the formations. (as per the park rules) I was quite proud, and feeling fortunate since you are not allowed strollers on the trail. Despite the crowds they were the youngest hikers by far. I’m sure they enjoyed the attention earned from that fact. Despite the darkness and generally neutral tones of the enormous cave it is an impressive sight to behold, even for a two year old. The shapes you see are stalagmites, stalactites, columns, draperies, popcorn, soda straws, and ribbons. We had a few extra terms of our own such as jellyfish, broccoli, masks, and hippopotamus. There is still water in the cave, and the girls found the pools enticing. After staying the night in Carlsbad we headed home the next day. 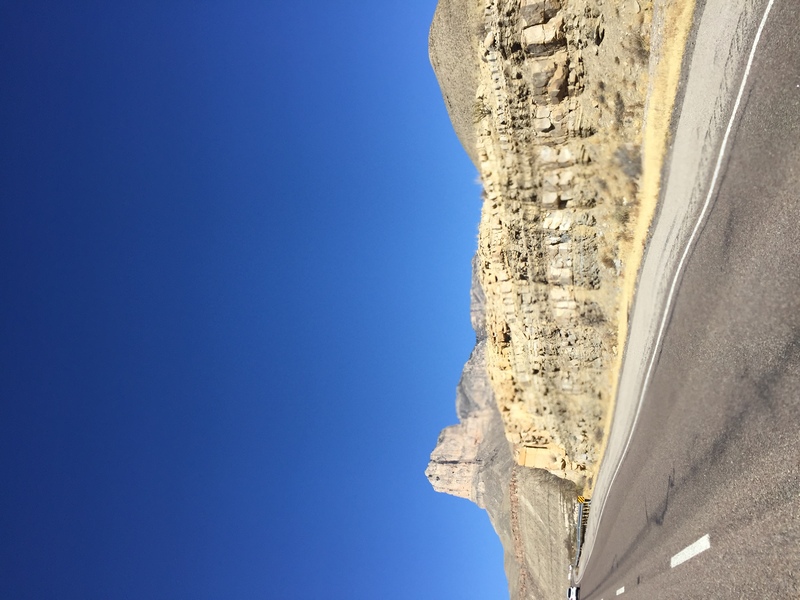 We made a pit stop at Guadalupe Mountains National Park, the sunny side of what we had explored the previous day. Guadalupe peak is actually the highest point in Texas at 8,749 feet. The park is 86,367 acres for hiking, camping, horse riding, and home to a few historical landmarks. 250 million years ago this mountain range was actually under water and known as the Capitan Reef. When the water evaporated the reef was buried by sediments. Sometime after that tectonic movement caused the reef to rise above ground and create the mountains. The Guadalupe Peak trail winds through some unique pine forests but would have been a bit ambitious for our family, so instead we explored the Frijole Ranch House and grounds. It is a tiny museum dedicated to local ranching history, surrounded by a lush yard in the middle of the desert. The initial structure was built in 1876 and added onto in 1920. In 1906, John Thomas Smith and his family took over the property. The Smiths were married for 63 years and had ten children. They had a 15-acre orchard and garden. They were able to grow apples, peaches, apricots, plums, pears, figs, pecans, blackberries, strawberries, and currants. In the desert! I was amazed by this fact. Although, it is due to a spring on the property that has existed for thousands of years. (I am also amazed by fresh water continuously streaming up from the Earth for thousands of years in the middle of the desert.) The Smiths lived on the ranch until 1942. In 1966, the ranch was sold to the National Park Service. We enjoyed a picnic lunch and drove back to El Paso. There is so much to see and do in this area. It takes some effort to fit it all in. We’ve been pretty lucky in the non-consecutive two years that we’ve lived here, and have explored a lot. As a matter of fact, before the holiday season even started we got an additional day trip in. Wyler Ariel Tramway is located here in El Paso, in the Franklin Mountains State Park. The tramway complex is 196 acres large. 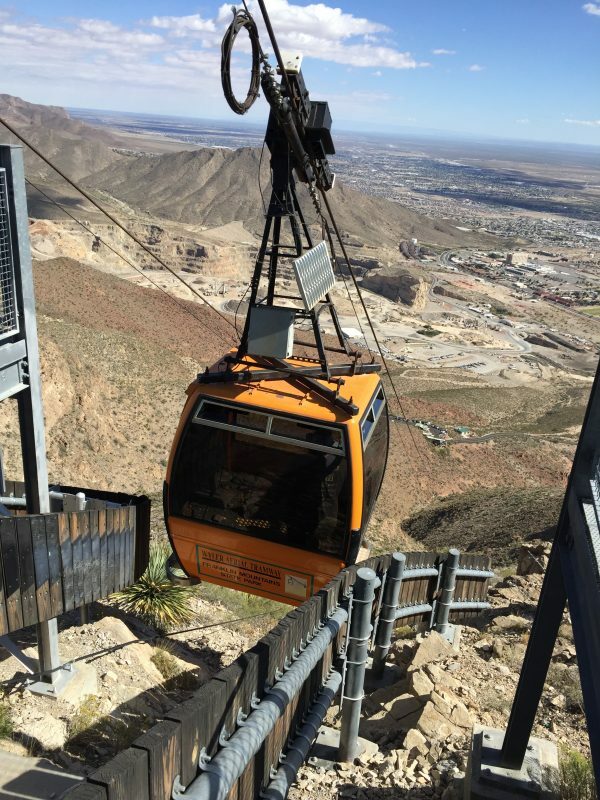 The Swiss made gondolas of the tramway travel along two, 2600 foot, 1 3/8″ diameter steel cables to Ranger Peak at 5,632 feet. The trip takes about four minutes, you gain 940 feet from the parking lot, and at certain points you are over a 240 feet deep canyon. From the top you can see three states and two countries. The tramway was built in 1959 by a radio station to help build their transmitter tower. Phil and I used this local attraction as a way to introduce the girls to gondolas and (eventually) a life of snowboarding. While they were a bit nervous, they enjoyed their first gondola ride and its views. They had trouble pronouncing the word “gondola” and instead were calling it a “gonaga.” It was super cute. In conclusion, going on adventures with toddlers is fun. 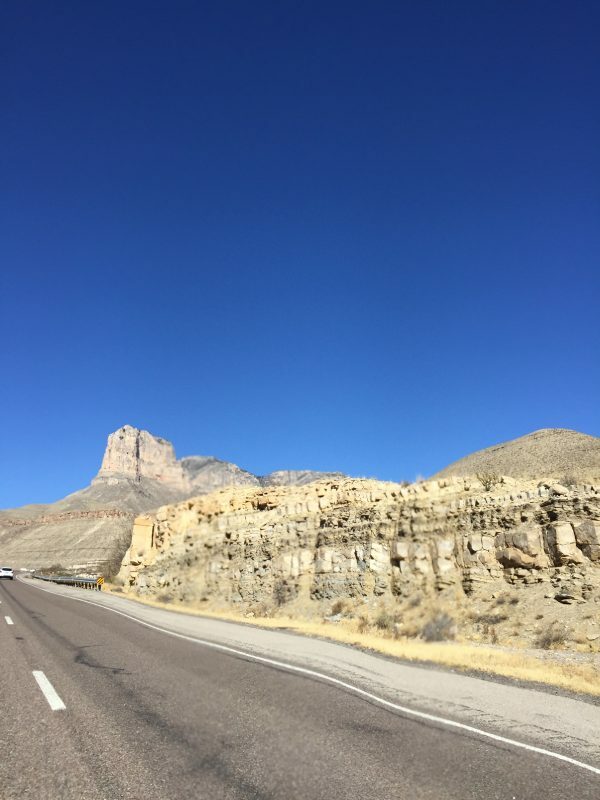 This entry was posted in Texas, Travels and tagged Carlsbad Caverns, El Paso, Guadalupe Mountains, New Mexico, Texas, Twin Tavel.